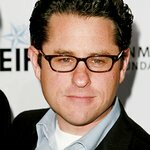 Paramount Pictures, Bad Robot and Charitybuzz have partnered to offer Star Trek fans a once-in-a-lifetime opportunity to meet director J.J. Abrams and the cast of “Star Trek Into Darkness” at the film’s Los Angeles premiere. Proceeds will benefit the Mission Continues, a community service organization that helps post-9/11 veterans transition from the military to leadership roles at home. Charitybuzz, the leading destination for online charity auctions, will host the bidding for a four-pack of VIP tickets to attend the “STAR TREK INTO DARKNESS” premiere in Los Angeles. The winners will walk the red carpet, meet director J.J. Abrams and the cast, and attend the premiere after-party. Paramount Pictures and Bad Robot will match the winning bid, up to $25,000. The Mission Continues benefits veterans and communities in equal measure. The organization sponsors veterans’ enrollment in a 6-month service and leadership program. These veterans dedicate themselves to serving in their community, volunteering for at least 20 hours a week in community organizations to address issues like homelessness, illiteracy and unemployment. The Mission Continues provides the tools, the direction, and a living stipend to these veterans, while the veterans deploy their experience, their skills, and their desire against our communities’ most pressing problems. Since its inception, The Mission Continues has awarded more than 600 fellowships and engaged thousands of volunteers at more than 350 community organizations. Bidding is open now through Thursday, May 9th at www.Charitybuzz.Com/StarTrek.